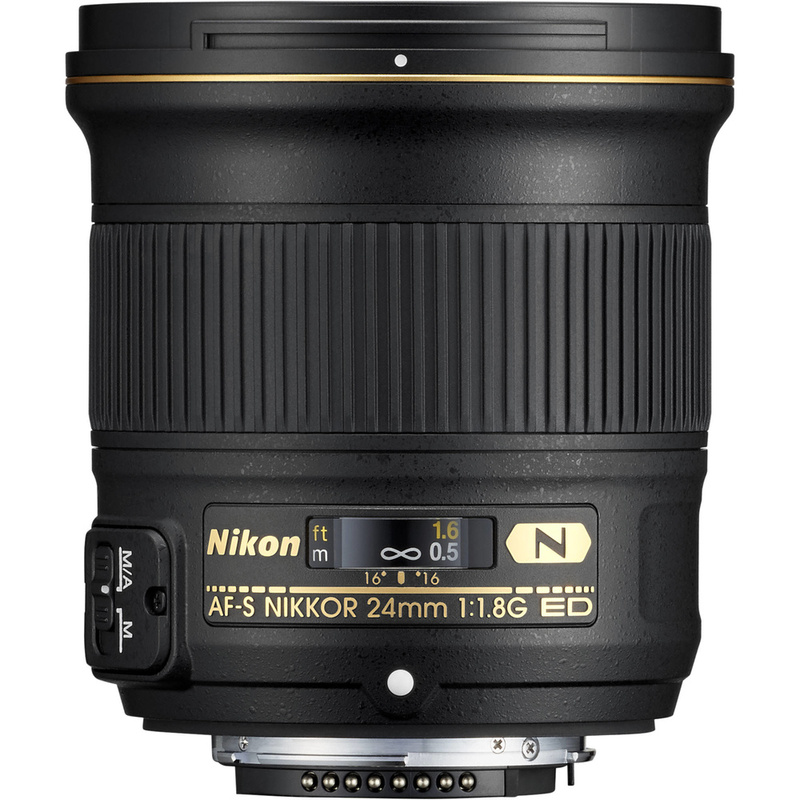 While this is more than your average lens announcement on all counts, Nikon's updated 24-70mm f/2.8E ED VR with electromagnetic diaphragm and vibration reduction technologies certainly reigns supreme on fans' hit lists of lens replacements for 2015. Meanwhile, Nikon's 24mm f/1.8G ED fits snuggly between the 20mm and the 28mm variants of the same range, filling a final gap in an otherwise perfectly covered potential f/1.8G video lens kit. The 200-500mm f/5.6E ED VR gives lovers of the refreshed 80-400mm f/4.5-5.6G something to think about with its combination of extreme affordability and extra reach, despite its narrower wide end. The 24-70mm f/2.8 has been one of the most popular lenses in professional shooters' bags since the day it first came out. Finally, after a long wait, Nikon users have an impressive update with the addition of vibration reduction (VR). While past critics have argued of the usefulness of VR in lenses that are in a wide to normal range, there is no doubt that VR helps curb motion blur from a photographer's movement in any scenario. And it's certainly a welcome addition, here, for any photographer on the move. Meanwhile, an electromagnetic diaphragm continues from some of Nikon's most recent lenses into this build, enabling more accurate exposure when shooting in quick, rapid-fire situations. Perhaps even better for any shooter is the front and rear element fluorine coating, which is a miracle worker of sorts in aiding cleanliness by repelling dirt, oils, and moisture from the outer-facing elements of the lens. That last coating (in concert with the added VR technology) is what makes this lens a rather expensive -- but crucial -- update at $2,396.95. Update: The new 82mm filter size and added weight of 170 grams (about 15% heavier) might push some light travelers away. But these aspects do show Nikon's commitment to quality, including superb image resolution for which larger glass should help. Nikon's 24mm f/1.8G ED will be a go-to lens for many DSLR cinematographers as Nikon clearly aims to create a relatively wide-aperture, well-priced, and sharp set of prime lenses that are poised to coax any budding video junkie into the f/1.8G lineup. 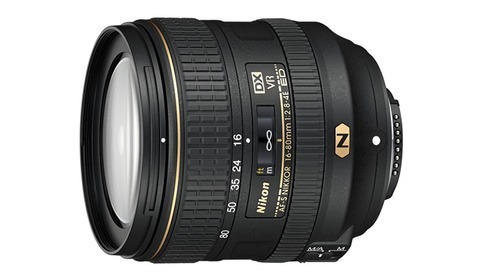 The lens also fits in the middle of the 20mm f/1.8G and 28mm f/1.8G price range at $746.95. 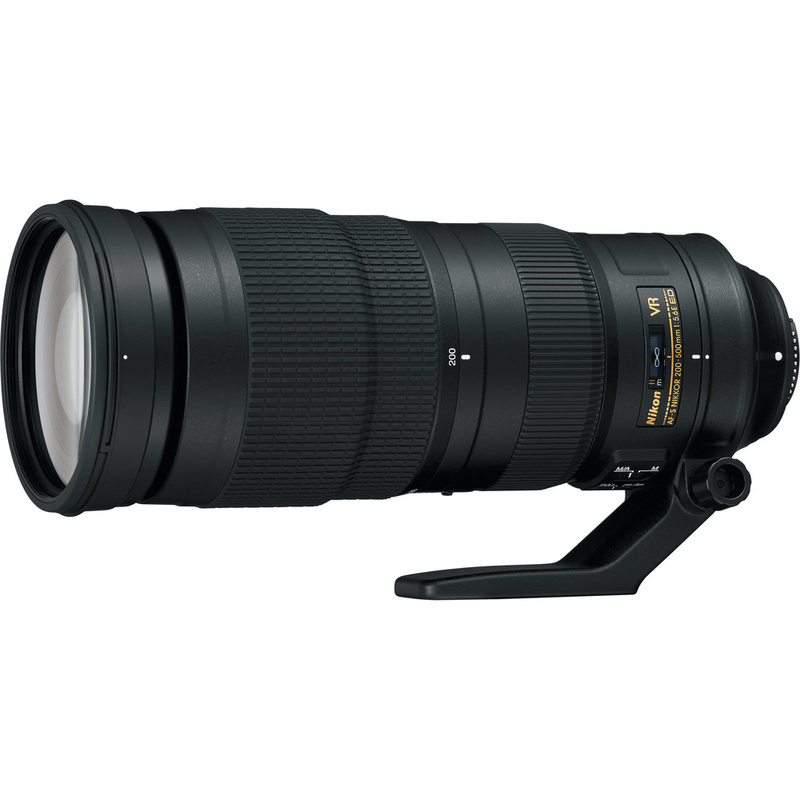 Finally, the 200-500mm f/5.6E ED VR is a stunner when it comes to price. At $1,396.95, the lens is quite affordable considering its range, constant aperture, and bevy of high-tech features including nano coating for ghosting and lens flare reduction (from which all of the lenses in this announcement benefit), extra low dispersion (ED) glass, and an electromagnetic diaphragm. Pre-orders are available for all three lenses through the links above. 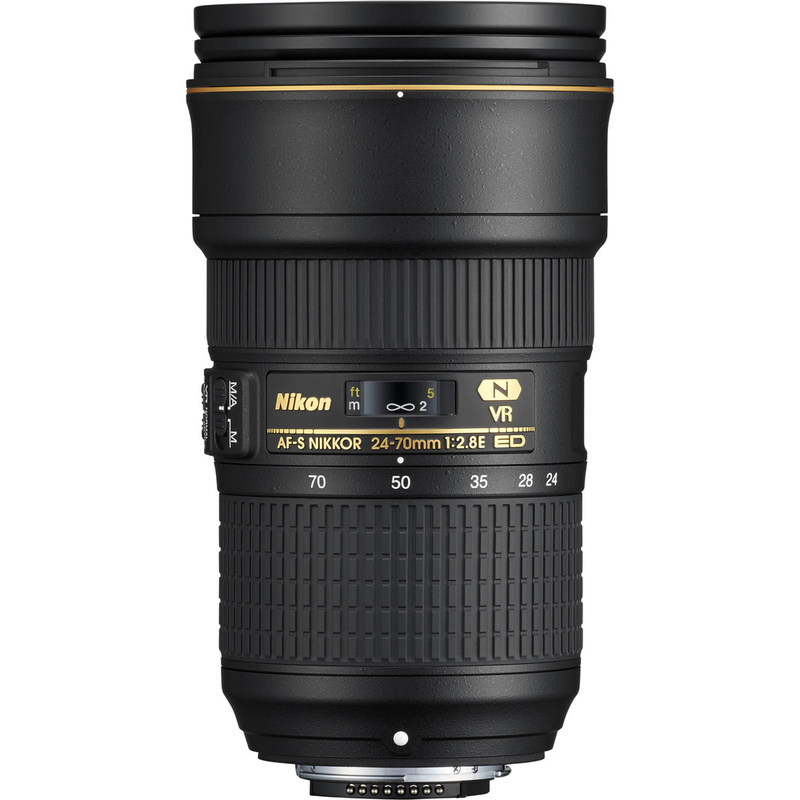 If you would rather capitalize on some savings on some of Nikon's other lenses (including the now-old 24-70mm f/2.8G), head over to B&H for Nikon's current lens rebates. In other news, Nikon also announced both 82mm and 95mm Circular Polarizer II and Neutral Color NC filters. More information on the lenses and filters can be found at B&H. Lots of new technology in this lens. Aspherical ED glass, High Refractive Index element and supposedly a faster AF motor. I don't need VR in my 24-70... BUT I WANT!!!! My thoughts exactly! Long time coming. 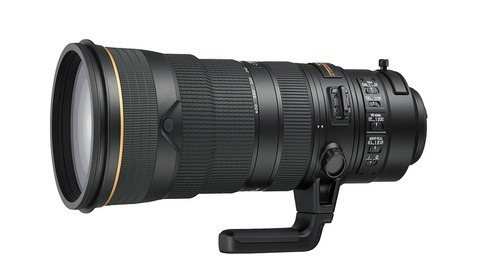 Just pre-ordered through Nikon NPS and B&H! Can't wait to have the 24-70 VR. When would you even use a 200-500mm? Paparazzi photos? Birds? I would!! Been shooting with a 400 prime for some time now and there has been times where I wish I could have zoomed out, because moving and or changing lens would be to slow. I've been debating on selling the 400 prime and 70-300 for the 100-400 II. I wouldn't take to much of a penalty either in the quality or speed. This range is beautiful. But I don't shoot Nikon. But what do you shoot? People? Birds? Stars? Wildlife, elk, pronghorn, moose, deer, birds in flight, perched birds. You can't get close enough but sometimes I would like to zoom out so you can see the environment. Star? Um my 18-35 1.8 is what I use for the milky way. So the primary use would be wildlife then? it's not the sharpest lens in my kit, but it's certainly not soft or "terribly soft"..
That's what I actually think. (I guess most Nikon 24-70 f/2.8G owners do). It's his "hand holding"! Just picked up the Tamron 24-70 myself and have been thoroughly enjoying it. I appreciate the savings too! In the FS office we have 3 Tamrons and 2 Nikkors (3 if you count Lauren's copy). Lee and I haven't touched the Nikkors in over 2 years except when we are short a lens and absolutely need it. For video work, the two lenses are pretty much identical quality wise because 1080p video is so forgiving. However the VC on the Tamron has made it a must go to lens for any sort of hand holding video which we do a lot with Fstoppers and on our own weddings (we shoot short video clips throughout the wedding to add to our stills). For photos the Nikkor might be a tad sharper at f8 on the corners if you are a landscape photographer (Elia has taught us a lot about smaller apertures) but at f/2.8 where I'm usually shooting these lenses, the difference is negligible. If you are going for the soft shallow depth of field look, it actually might be better to have the slightly softer edge on the Tamron. Making that argument though is splitting hairs for me. 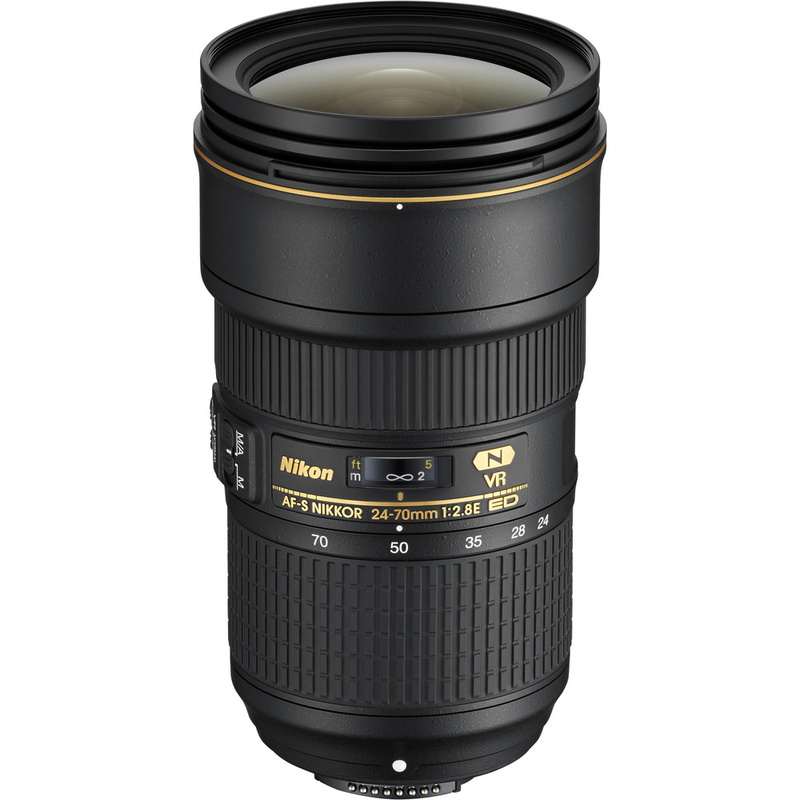 If you shoot product shots or landscapes, get the Nikkor but if not then the Tamron is 95% the quality. I just don't think it compares. 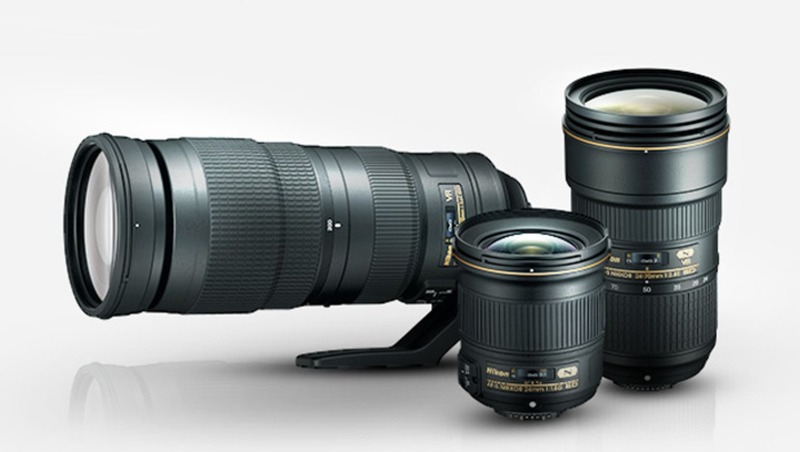 Nikon has far superior experience, R&D resources, and technical know-how in my opinion. Their professional lenses are build rock-solid, and designed to last a lifetime (my 24-70 bit the pavement in Death Valley, and aside from a cracked filter, that lens is going strong). 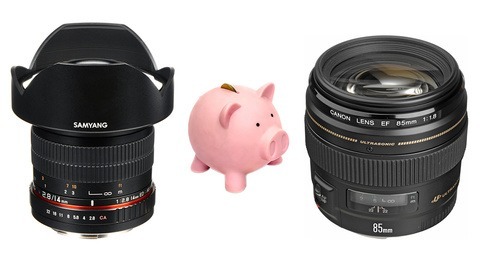 Tamron competes solely on one thing - price. And to achieve that, they have to cut corners somewhere. I've held a few of their lenses, and the ergonomics and build quality alone were sub-par. Call me a brand snob, but I think you get what you pay for. 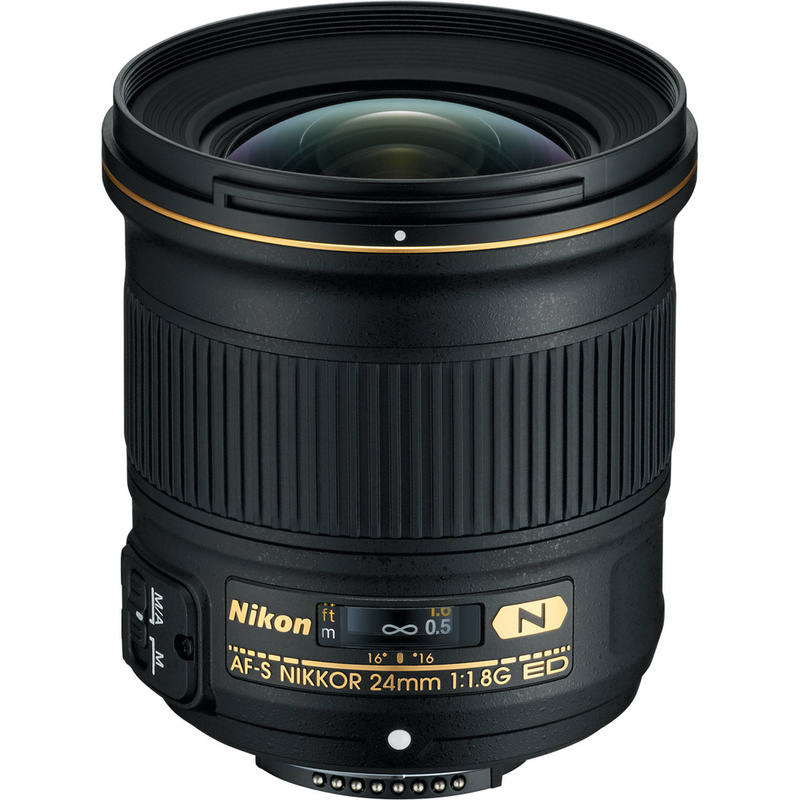 Most exciting thing here for me is that 24mm... MIGHT be able to justify a fast Nikkor 24mm, finally! the 20mm f1.8 is also a great lens! I've never really shot a lot of wide angle shallow depth of field stuff but after traveling with Elia Locardi and doing some astro photography, I def want that 20mm 1.8 lens. This 24mm 1.8 seems less exciting for me since I wasn't even excited about the 24mm 1.4 but for video it would be great to have I guess.